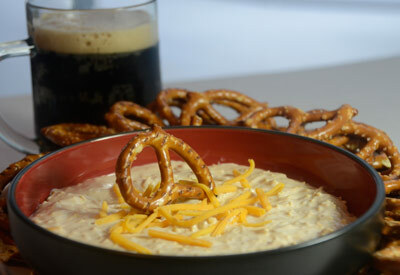 Beat cream cheese in medium bowl until smooth; gradually blend in beer. Add shredded cheese, beating until well blended. Refrigerate until serving time.